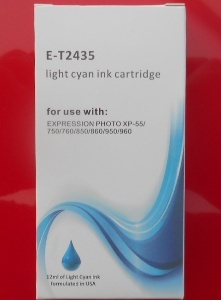 HIGH YIELD (XL) FULLY GUARANTEED CHIPPED INK CARTRIDGE Compatible with Epson “Elephant” 24XL Light Magenta. Great reliability and print quality at a superb price. Free rapid delivery. Quoted page yield (based on 5% ink coverage) 740 x A4. T2434 – Genuine Epson (Elephant) HIGH YIELD YELLOW DuraBrite Ink Cartridge – delivered FAST & FREE! 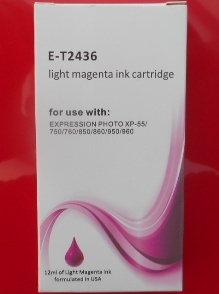 T2436 – Genuine Epson (Elephant) HIGH YIELD LIGHT MAGENTA DuraBrite Ink Cartridge – delivered FAST & FREE! 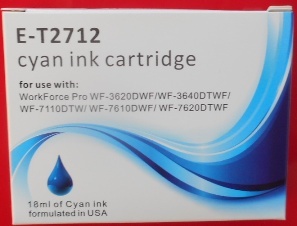 T2432Comp – Guaranteed ISO9001 Quality compatible CYAN cartridge with latest chip – delivered FAST & FREE!